What behavior are we trying to influence (what are desired measurable outcomes)? What do we define as success (what are our goals)? How much should we spend to get to that success (what is our budget)? We take the example of a company that is about to roll-out a new incentive reward program. The behavior that we may want to influence through a communication campaign is to maximize the participation rate in the program (provided that we know that program participation is a leading indicator of program success). Our goal may be 100% participation rate by a certain date and continued participation after that date. Our budget may be chosen based on estimated performance goals that leads to financial results. This could be lower employee turnover, improved productivity through higher employee engagement, etc. These are ROI models that usually feed into a budget for a communication campaign. Does our ROI of Global Communications model apply to other markets? In other words, what is our expected investment in this market and what is our expected return? If your international offices are 40% of the work force, are we allocating 40% of that budget to reaching this population? Are we measuring the same thing or should we look at things differently? Is the participation rate considered problematic or do other markets perform actually better, and is this strategically important? These can all be questions that we can use to put the investment into each market into perspective. Look at the population that you are serving and the importance of meeting those goals for that population. Put a value on that program. It may be that you decide to allocate your budget more appropriately to those markets or even change your communication approach. Consider metrics to make more informed decisions for which markets to translate. It should be noted as well that Global PR Communications or Global Compliance tend to have a different ROI model where, more often than not, you are mitigating loss of reputation and loss of capital. Especially there, we should consider the Global ROI because the gains (or in this case, the loss) can be virtually limitless. What do we consider an additional investment in the translation process for the ROI of Global Communications? 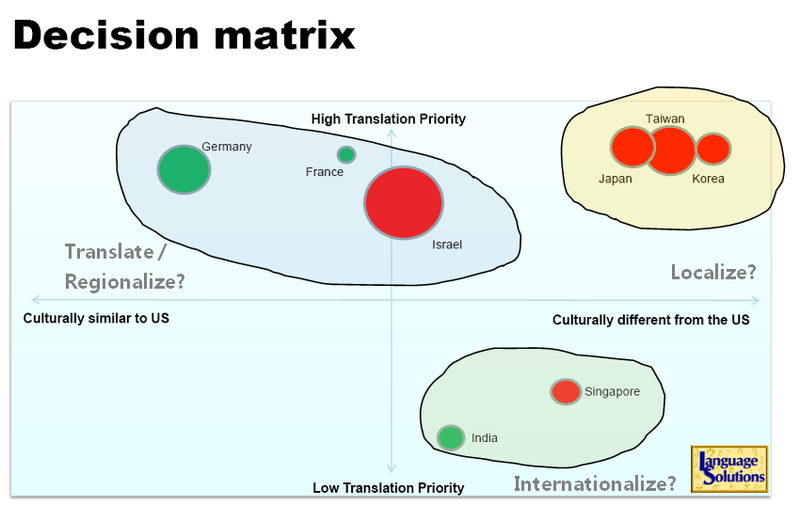 Translation services are often seen as an additional cost. A company invests in the campaign and then add the costs of translation in order to get what they already have in the domestic market. This can be sometimes viewed as a negative, rather than a positive view on investment. It is our experience as well that when purchasing comes in to evaluate the price of translation, the conversation of translation as an investment is considerably less likely to take place. What are some of the investment messaging that communication professionals can look at when we talk global? Time to market. In our experience, this is all about organization. One of our biggest praises we get from communication professionals is that we make the translation process seamless when dealing with complexities of rolling out a communication plan. We usually expect changes along the process and tight schedules. Being able to manage this workflow efficiently and accurately should be considered in the cost. Consider each day delay and rework as part of that ROI calculation, but also a reduced commitment from your communications consultant to manage the translation process as well. Consistency of messaging. Sometimes, we need to invest time and money up front in order to get the right results. When dealing with international offices, more likely than not they already have their own take on terminology. It’s very unusual for even the biggest companies to have that terminology streamlined in a centralized way. We invest time, people and processes in the pre-flight process, maintenance and organization in order to create consistent output. Being able to stay organized during changes to ensure consistent output that matches the updated information in English is critical. 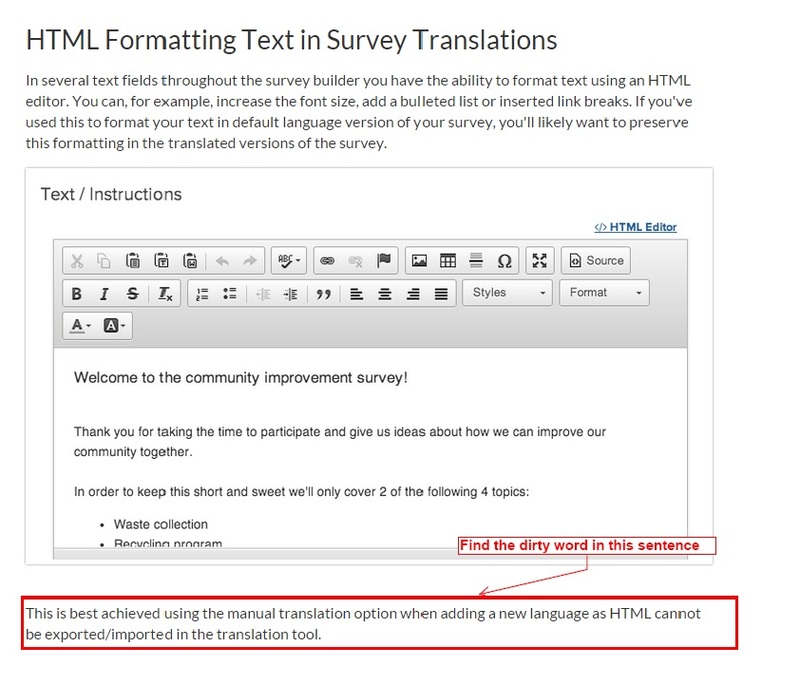 Consistency of messaging and terminology that aligns with the language used in local offices should be considered a leading indicator of the desired outcomes. Program Support. Usually, program’s don’t end after they are rolled-out. They need continuous support and communication updates to maintain momentum. Sometimes, these programs are continued in-house. How confident are you that your translation vendor will provide continued support with a consistent team of people that are knowledgeable about your program? This includes the use of technology to maintain consistency, but also consistency in processes and people. Continued support after roll-out should be considered in that budget calculation. If you have a vendor that you can rely on for the long run, that should be of value. When we look at budgets for global communication projects, organizations don’t always consider the global aspect as part of the investment that they are making. It’s often seen as an additional cost that is placed with purchasing. In our experience in working with many communication professionals, organizations often rely on their insight and expertise to communicate the value of a global communication investment strategy in order to get the desired outcomes on a global scale. We encourage the conversation of the impact of the global aspect as early as possible in the conversation, to facilitate informed decision making and a more well-rounded ROI analysis of your communication plan.